It’s always struck me as a bit of an oddity, but the blossoming region called Orange in mid-western New South Wales doesn’t grow citrus, let alone oranges. In fact, the staple crop of the region has historically been apples – so much so that the crop from the district accounts for roughly half of the total apple production of NSW! The township was apparently previously known as “Black Man’s Swamp” but was gifted a new moniker by Surveyor General Thomas Mitchell who was intending to bestow an honour on the Prince of Orange who later became the King of Holland. These days, the area around the township has become hot property in the world of wine. Although vineyards were only planted in the region through the 1980’s and 1990’s, it has attracted a number of acclaimed winemakers and wineries – brands like Phillip Shaw, Cumulus Estate, De Salis and Ross Hill. And the reason: its elevation and diurnal temperature range which is perfect for gentle ripening and retention of full fruit flavours. By definition, the Orange region is cool climate. Its elevation is what defines the region according to Geographic Indication (GI) - the lowest level starts at 600 metres above sea level, while at its highest point on Mt Canobolas, is reaches 1400 meters. Currently, the vineyards at the highest point sit at around 1100 metres, making them seriously elevated and undeniably cool. Even in January, the mean average temperature is about 20 degrees, which is significantly lower than places like the Barossa, Coonawarra and McLaren Vale. The diverse topography coupled with the elevation creates a wide range of micro-climates through the area and this enables winemakers to grow many different varietals rather than being limited to only a few rock star grapes. But such is the blessing of the terroir and climate that there are producers, like Angullong, who grow no less than 18 different grapes – and I reckon that’s just showing off! The Angullong vineyards are probably the largest in the Orange appellation as they have about 550 acres of vines, growing everything from cabernet and shiraz to barbera, montelpulciano and sangiovese. But if I had to pick just one of their wines as a standout, despite my fetish for cool climate chardonnay, I’d have to lean towards their uniquely “Orange” sauvignon blanc. The varietal flourishes in the district where the slower ripening during cool nights allows an intensity of flavour, brightness of colour and great natural acidity to bring balance and sophistication. 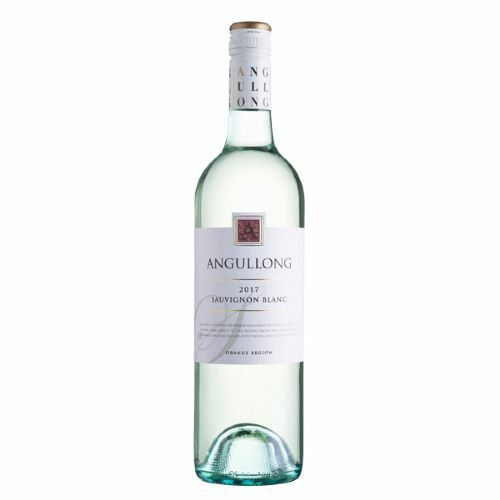 The 2018 Angullong Sauvignon Blanc is now on the shelves and is bright, vibrant and slightly green edged in the glass. On the nose there are typical tropical fruit characters but once on the palate, guava, passionfruit and pineapple emerge before natural acidity tightens the finish and ensures a lingering crispness to the finale. I really enjoy a savvie that isn’t overly sweet and flabby, and the Angullong certainly fits the bill. At only $20 a bottle, I reckon it’s fair value and easily found at most major bottle shops.